I have done an unwise thing. On a day when it was only 10 degrees, Ms A. showed up at the station barefoot looking very cold and sad after being discharged from hospital. She burst into tears because she claimed not to have the fare back to her home in the country and even though I didn’t believe her, I was overwhelmed by pity and bought her a hot chocolate. Why unwise? Well A. is a serial and serious pest who shows up at stations all over the system and threatens to jump under the trains. You have to take these threats seriously the way you have to take bomb threats seriously so there’s always the police and the pso’s and the ambulance and hospital. Lots of drama. She seemed pretty ok that day so maybe they’d given her something in the hospital to calm her down. In the end after a cigarette (somehow broke people always have money for cigarettes, don’t they?) she very docilely got on the train to go to Traveller’s Aid at one of the central stations. Traveller’s Aid lend people small sums of money for tickets home. Later when the police came by on patrol, I told them I’d seen A. and where she’d gone and they went off to check on what she was up to. As it happened this was the patrol that had arrested her at our station the previous night for threatening to jump under a train. Well I can only hope that she prefers negative attention and that my giving her a hot chocolate and talking to her nicely will not have the same effect as giving food to a stray cat. It’s all very well to complement me for being charitable but really she’s not someone who should be encouraged to hang around at a station. I fear my Station Master will have cause to curse me. Is this a definition of Innocence? Was startled by the clothes of a young African man I saw this week. 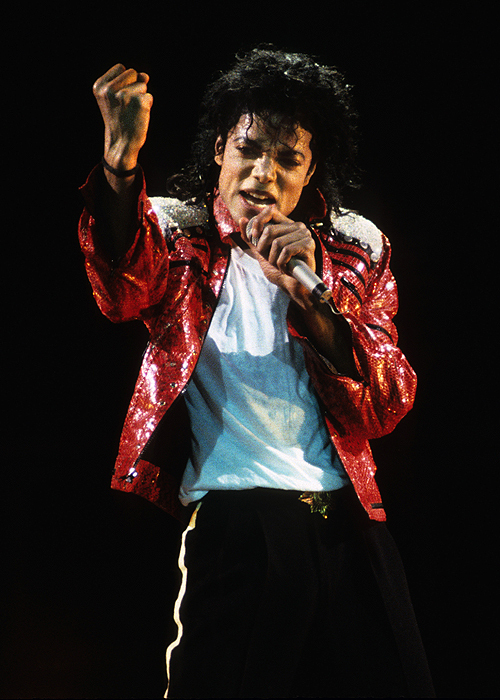 He was wearing his Michael Jackson “Beat it” outfit – colorful jacket and skinny jeans. On his belt was a huge buckle depicting the silhouette of a curvaceous young lady against the background of a confederate flag. I guess the confederate flag just doesn’t have much meaning for 16 year olds from Sudan. Saw a delightful thing on the way home. 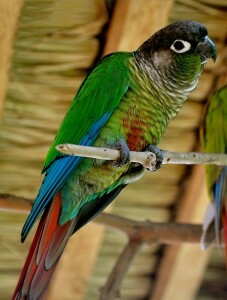 A handsome youth in the train had a little parrot, a Green Cheek Conure, sitting on his shoulder. The bird got tired of being ignored and started pulling his ear buds and the young man took it in his hand and scratched its head and tummy till it was completely blissed out. I couldn’t help admiring the deft way he handled this fragile little creature. When the train stopped at the station, he put the bird on his finger and held it out the door where it obediently dropped a little poop on the platform. Then he brought it back into the carriage and sat it on his shoulder again. I was so impressed and so is everyone I’ve told about this. How on earth did he train a bird to do that? Unfortunately during the whole exercise he avoided any eye contact so I didn’t get the chance to ask. Hallelujah! It’s the unmanned stations! While putting posters up at the unmanned stations this week, I tried to avoid making eye contact with the young man with a bottle of wine in his pocket who was staggering about under the station sign. Tried and failed. “Miss Miss,” he cried, and I cringed expecting something rude. “Do you think anyone will know I’ve been drinking?” he asked. That day the people in the control room were clearly in high spirits. After one announcement telling us that we were currently running a good service with all trains running on time, the faint strains of the Hallelujah Chorus could be heard in the background.